Shopping for baby shower gifts can be a challenge, as we all know. Why? Because first of all, everything is adorable when it’s that tiny, so it’s hard to keep yourself from buying out the whole store. And second of all, newborns aren’t very picky about brands or colors or really anything, so you have almost TOO many options. Should you go for the onesie with a sassy saying that Mom/your best friend will appreciate, or no, because infants grow like weeds and it wouldn’t last long? Would it be better to go for the plush stuffed animal or the practical bath set? Hard to say. 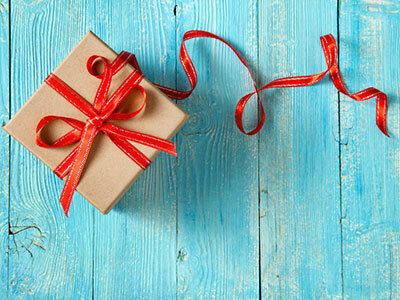 Luckily, there’s one category of gifts where you can never go wrong: Books! Before you start to panic about what what to buy for the expectant mother in your life, come browse our list of 6 books that make perfect baby shower gifts. 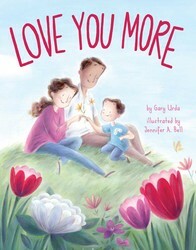 You’ll find the heartwarming picture book LOVE YOU MORE by Gary Urda, which illustrates the unconditional and unparalleled love that parents feel for their little ones. 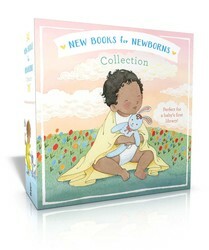 Then there’s the NEW BOOKS FOR NEWBORNS COLLECTION featuring 4 soothing board books to read aloud. 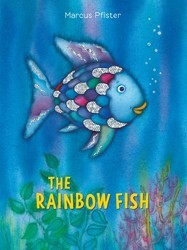 You’ll see the classic storybook THE RAINBOW FISH by Marcus Pfister, as well as the cute counting book TEN LITTLE TOES, TWO SMALL FEET by Kristy Dempsey. 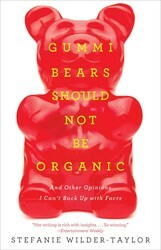 And in case you’re looking for reads geared more toward a new mom and/or dad, you can choose from the highly relatable and very funny parenting books GUMMI BEARS SHOULD NOT BE ORGANIC by Stefanie Wilder-Taylor and MAN VS. BABY by Matt Coyne. See? Bam, done. Now you get to go enjoy the party knowing you are TOTALLY going to be the kid’s favorite. 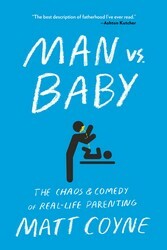 From the popular mommy blogger and seasoned author of Sippy Cups Are Not for Chardonnay and Naptime Is the New Happy Hour comes this hilarious book of honest, no-holds-barred musings on motherhood.Stefanie Wilder-Taylor is officially fed up with the endless mommy fads, trends, studies, findings, and facts about how to raise children. The mother of three young girls, Stefanie has finally decided to hell with Google—she’s going to find out how to be a mom all on her own.